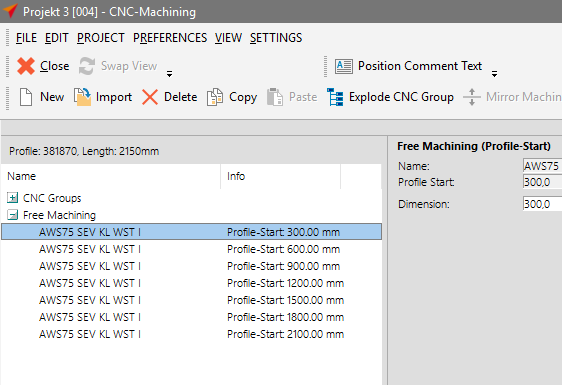 Create free machinings in the CNC database and combine them to a free CNC group. 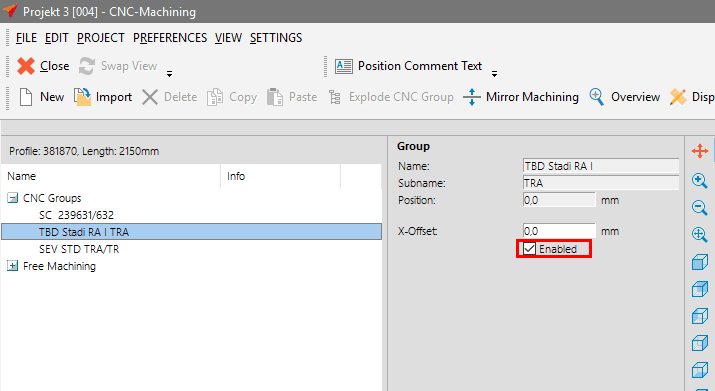 Click on the button “Import” in CNC Machining and import the group. 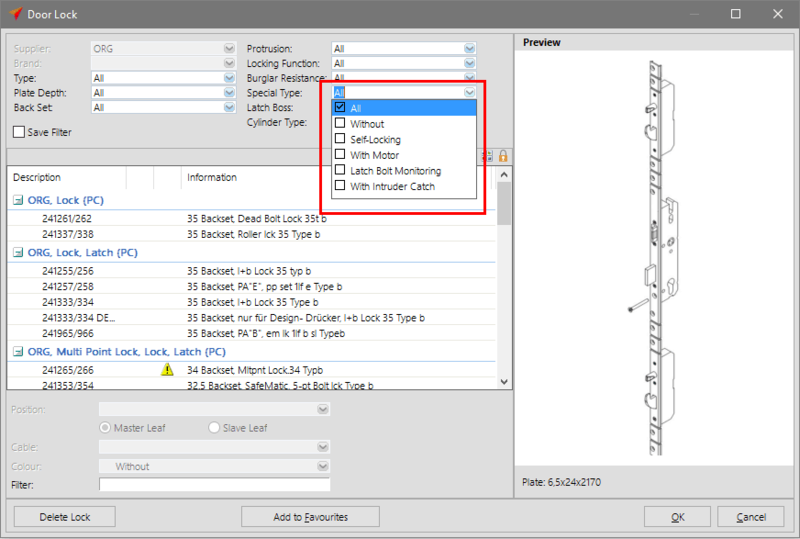 Then enter several values for the continuous machining e.g. “Distance to edge start”, “Distance to edge end” and “max. Distance”. A new free group is created with the various machinings. 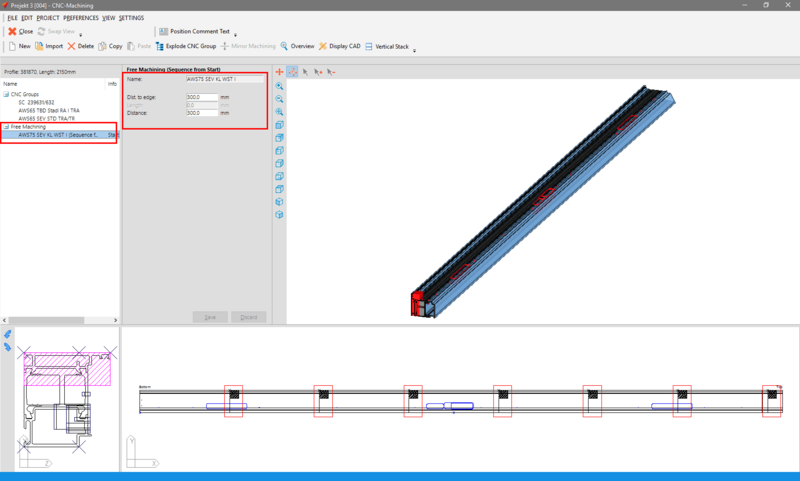 Change the data of the group on the right side of machining list. This free group can also be copied to another bar. 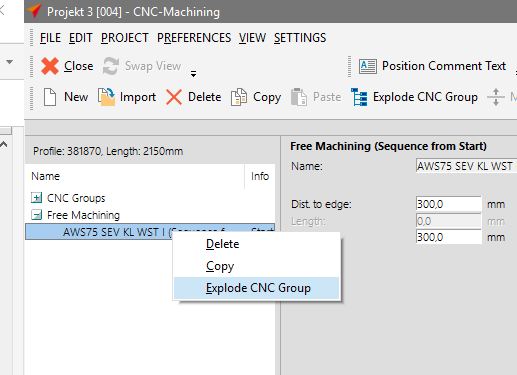 To display this group in single groups, right click on the group and select the option “Explode CNC Group”. The list with the single groups is displayed. 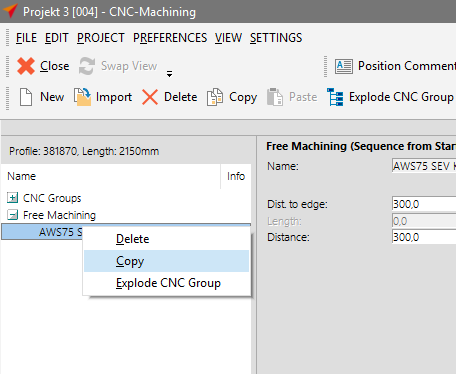 You may multiselect single CNC groups and delete them from the list. If you explode the group again, the free machinings of the group are displayed in the list. 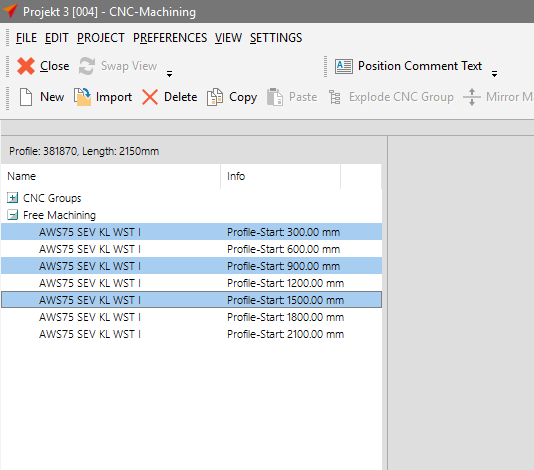 You may activate / deactivate multiple system CNC groups by multiselect.